So the lovely people at Hotel Chocolat sent me some goodies from their Christmas selection and I promised to write a review so here goes. 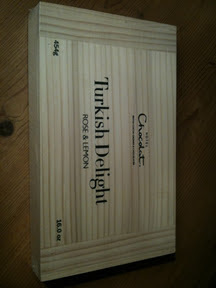 The first one was a beautiful box of Turkish delight. It was bigger than I expected it to be and in a wooden presentation box so perfect for presents. I'm not the biggest fan of Turkish delight but this had a good texture, not too gelatinous and the flavour wasn't over powering. They tell me it's handmade in Turkey so maybe that's why it's so yummy! 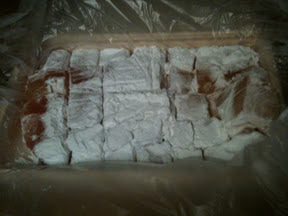 Here is a picture of the Turkish Delight and also a link to their website. 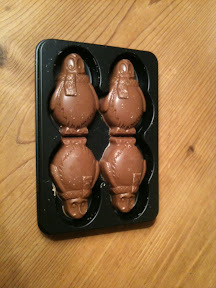 The second one was some tiddly caramel penguins. These little cuties would make a perfect sticking filler or (as I am going to do) a filling for crackers if you take them all out of the box and put one in each of my homemade crackers, much better than a set of screwdrivers in my opinion! 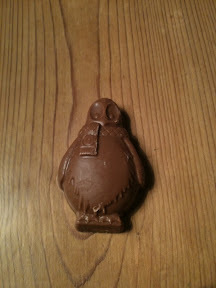 And a great substitute for any friends and family who now want a baby penguin for Christmas after watching Frozen Planet. Again here are some piccies and a link to the product. 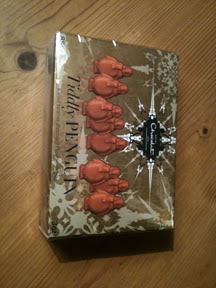 In case you want to have a look here are all of their Christmas chocolates and here are their stocking fillers Enjoy! These look yummy, I have to say Turkish Delight would not last long in our house, and neither would the penguins. I like to make crackers too and I think these would be fun inside!